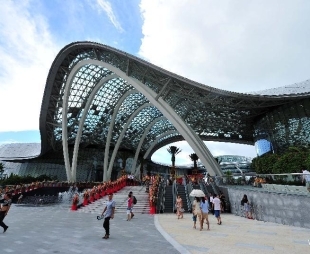 Offshore duty-free shops on China's island province of Hainan received a total of 44.52 billion yuan (about US$6.64 billion) in sales in the past eight years. The Export-Import Bank of China (China Exim Bank) said its outstanding loans for the Belt and Road Initiative (BRI) has surpassed 1 trillion yuan (about 149 billion U.S. dollars) up to now. Shanghai will keep introducing and implementing more opening-up policies as it continues to make a name for itself as a key global investment choice, according to municipal authorities. Technology, Media and Telecom ? ?